For accepting online orders/sales. 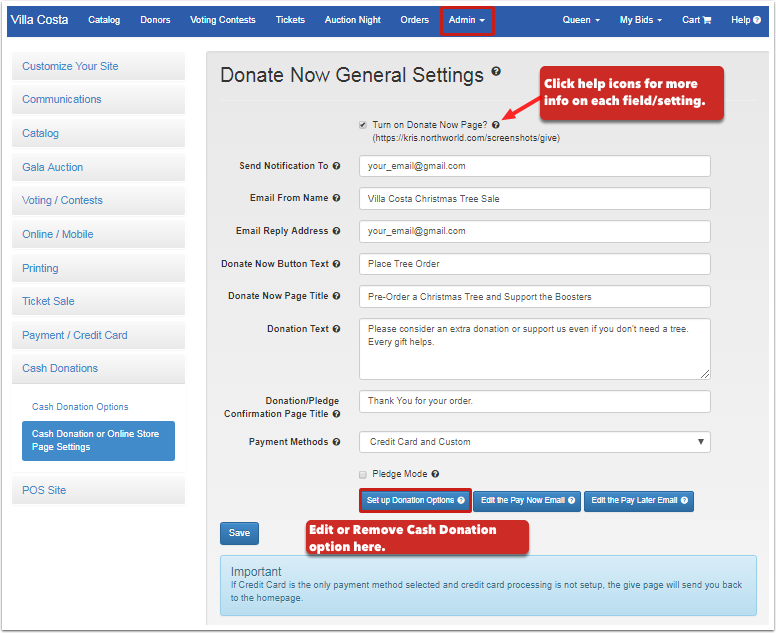 Enabling your site's Donate Now page activates an online form: [your site url] /give which allows your supporters purchase items without attending an event. New: The Cash Donation section of the form is now optional and can be edited (or removed). Check out the Demo site for an example of how the software can be set up to accept online orders/sales, then follow the instructions below to set up your own site/page. When you're ready, you can Send Invitations to Order to your supporters.